CTEC Delivers Training Programmes In Healthcare Certified By QQI. These courses are suitable for anyone working as a Healthcare Assistant in a caring environment and are approved by the Health Information Quality Authority – HIQA. CTEC also deliver MAPA (Management of Actual and Potential Aggression) training as well as Patient Moving & Handling and Safeguarding the Vulnerable Adult (HSE) training. This QQI major award qualifies you to work as a Health Care Assistant. You must complete all modules to gain the major award. Note that other elective modules are available. 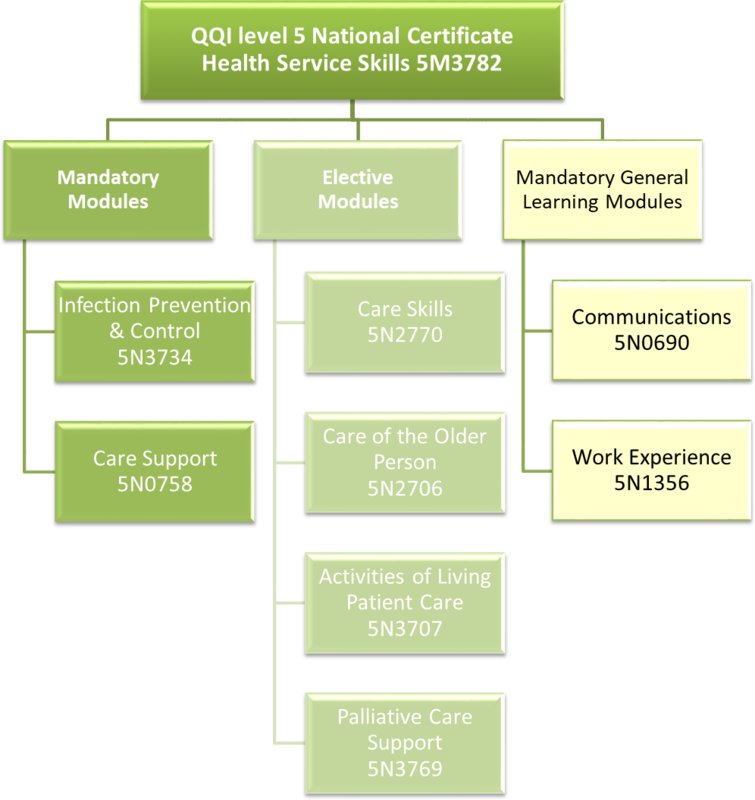 Holders of 3rd level major awards at levels 6 to 10 on the National Framework of Qualifications can be exempted from QQI Level 5 Communications. A maximum of 15 credits can be used from either a level 4 or level 6 module qualification. All modules used for exemptions must be certified within 5 years of completion of your full award. Should any learner choose to pay in full in advance for the above major award certificate, CTEC has put in place arrangements to ensure that sufficient funds are available to refund learner course fees in the event that we are unable to deliver this programme in full. QQI have approved these arrangements so that learners are fully protected in the unlikely event that a refund is required.